One of the reasons why I think my children like math is how law-abiding and reliable it is. Even though, my kids break my rules ALL the time, I think that when something is consistent and predictable for them, they are apt to be less fearful about possible outcomes. Thus, as fact-based and cold as it may appear, I think math is very comforting and reassuring to them. Kids like comfort, don't they? I think we do too. Blues go into the rectangular holes; reds go into the pentagonal holes; yellows go into the triangular holes. The hole shapes always follow a certain pattern. I don't know how to explain it. It just makes sense! Like MAGIC! Thus when my kids received two 3D geometric building sets called Zometool (Naked Creator I and Ice Crystals) for the holidays, I expected glee and cheer but that is not what I got. To be sure, they were in awe of it but at the same time, it was soon categorized as one of Mommy's "educational toys" and they moved on. "Where is my Ben 10 Omnitrix watch? I asked Santa for it." My oldest double-checked under the tree. I felt so sorry but I was also kind of mad at him at the same time. Thankfully it didn't take long for Number 1 Son to warm up to it. He didn't want to follow the directions and this is an important point. Parents should be able to recognize when their child is intimidated- of course I was oblivious to that! Still, on his first try, he made something lovely. And he proceeded to not follow any directions and make his own things. I deftly ruined these moments by asking him to follow the directions one page at a time. 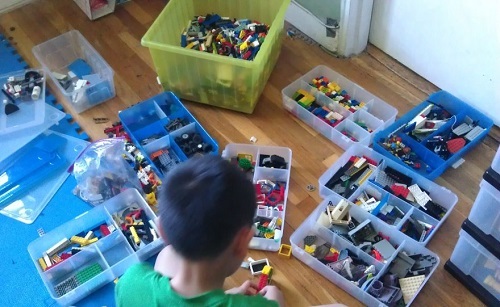 It's funny that I am asking him to do this since our chief complaint with building sets such as the Lego Ninjago Temple of Light (that he wants really bad) is that they are not-open ended enough! I'm such a hypocrite! If your kid likes to spin stuff... these totally rock! Luckily, my son is a little ruin-proof, at least by me. He always forgives me. The first child has that built in. He came back to Zometool to try and experiment again. I don't think he's ever satisfied with what he makes and so he would give up and become frustrated. I think one way to counteract that is not by telling him to follow all of the directions but rather to help him work out the problems that he's facing. I think that some kids learn this way and so the best method to help him was to strengthen his problem-solving skills. I also found out that I can help him stay intrigued and become more inquisitive just by sitting next to him when he plays with it. 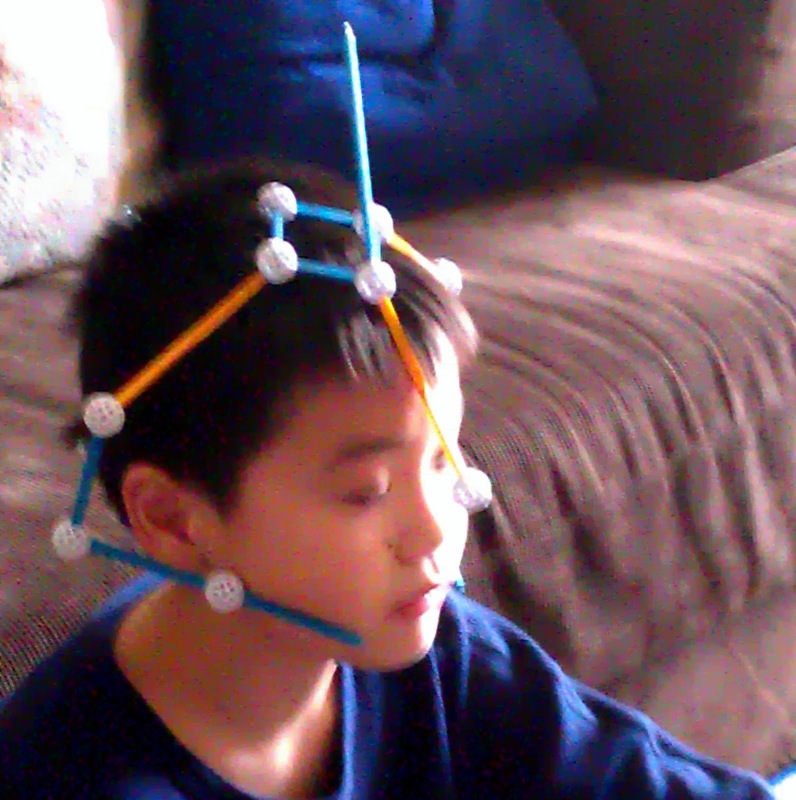 Whenever I give my son an audience, he makes fun stuff with Zometool pieces and the greatest part of this is that I know he is really learning something. How do I know? Because at the end of the day, this really is math. Just as the sum of the angles in a triangle always equal 180 degrees (oh yeah, remember that? ), the way that Zometools are constructed are quite exact - not even a little ambiguous. Like their literature says, "If it works, it works perfectly." To me, that means that without having to measure things, your child becomes acquainted with geometric concepts way before high school but the learning is hand-delivered with fun and creativity. 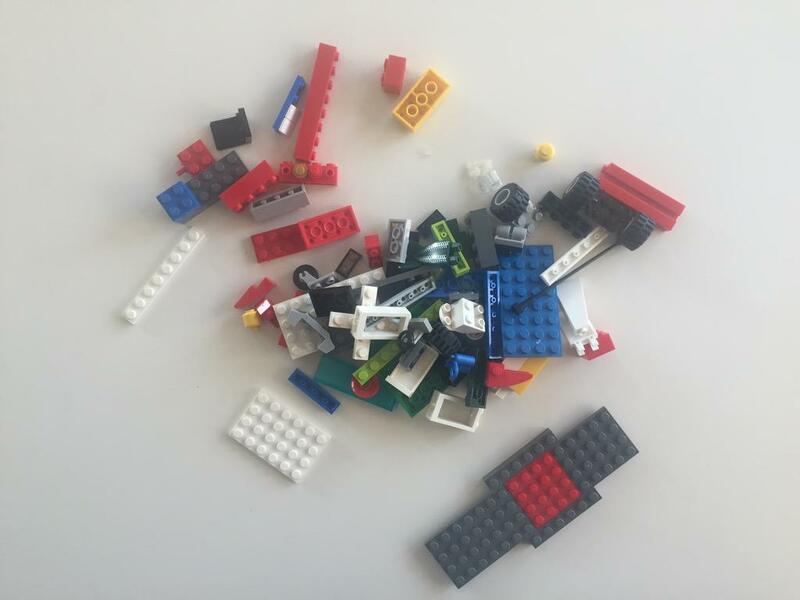 I think that these tools are a wonderful way to prepare young kids for high school math. How? Because through play, I believe that kids can become more familiar with this type of math and later, when they become acquainted with it in a classroom of higher learning, it will be less foreign. Who knows? Perhaps it might be what no one understands math to be: inexplicably yet unequivocally reassuring. If you love math, you'll know exactly what I mean. Here he is trying to make his own beyblade. It didn't quite work but it will someday. Jenn, Should I get the Creator I Set or Should I Get the Ice Crystals Set? I think both are awesome. 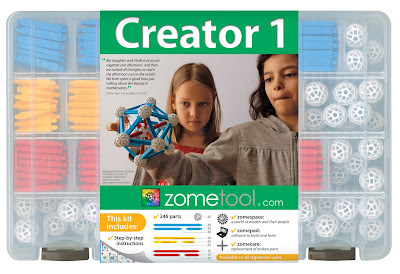 I really do but if a child does not have a set of Zometool and is on the younger side, I would get the Creator I Set. You can opt for the boxless version like I have (Naked Creator I $49.00) or go for the extra-cool boxed version complete with compartments (Creator I $59.00). I liked the non-boxed Naked Creator I because it is cheaper and I want him to grow his sets so I rather save the $10 to get more pieces later. 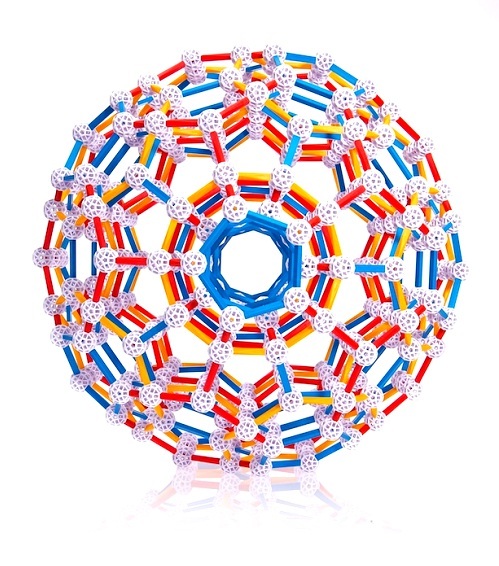 If you are not sure if Zometool is his thing or you don't want to spend so much just yet. I would consider the Ice Crystals. 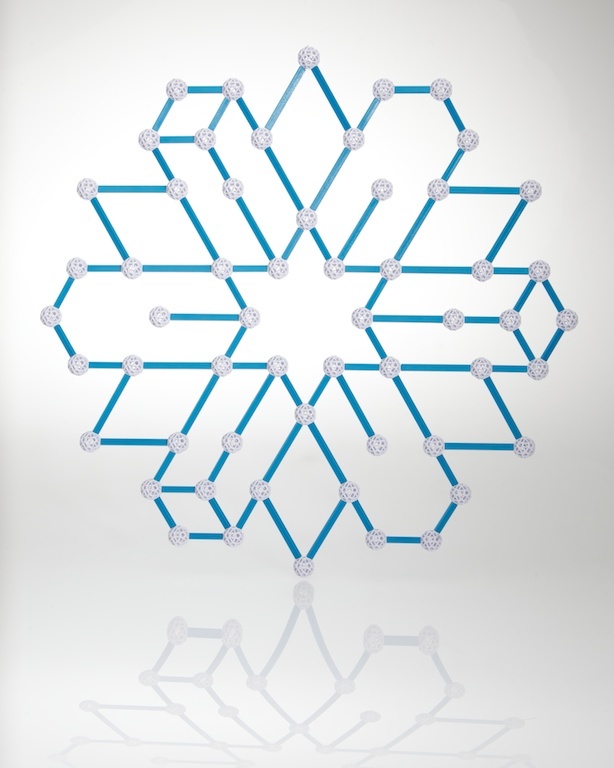 Ice Crystals are easier in that they show a lot of 2D shapes and so it is less overwhelming. However, I do find that the Creator I set, while bigger not only offers more complex models, but it also offers more simple model diagrams as well. It really depends on what you want. I honestly think families everywhere are really becoming more ready to be successful with such an awesome toy. In fact, I think that if you are confident that your child will go crazy for them, you might want to opt for the Naked Creator 3 set which is thirty dollars less than the Creator 3 set (you get same # of pieces but no storage box in the Naked one) You can also consider getting the Naked Creator 3 set (no box) instead of the Creator I set (with box). The former offers three times as many pieces minus box but for only twice the cost of Creator I.
I love my sleepy robot. He made this one on his own. My kid likes symmetry. 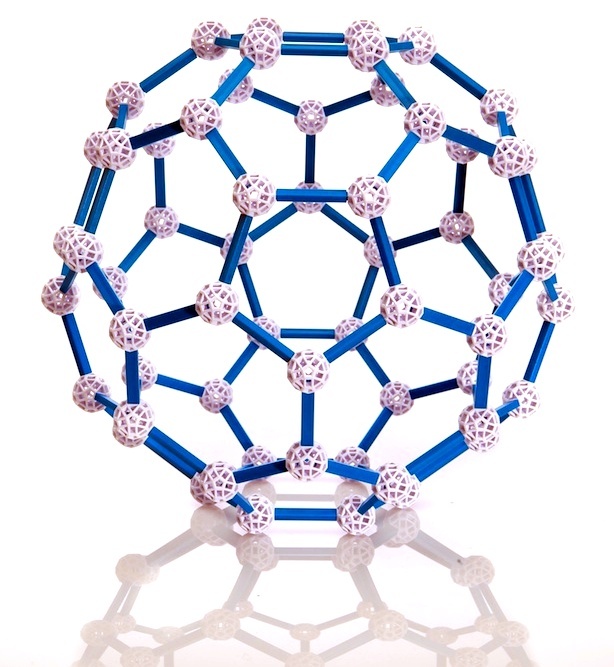 Zometool is also very awesome in that all the instructions are available online so if you lose it or you want to see their educational approach before you buy it, just click here. They even offer a "quick start suggestion" for those who are overwhelmed. I wish I had seen that before I introduced the Creator I to my youngest. I think some kids need to be dazzled at first and then go back to basics and work their way up. For more tips, you can check out their resources page. 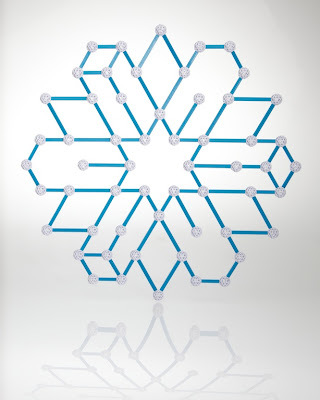 And now here's your chance to win your very own Zometool Creator I Kit! How cool is this??? 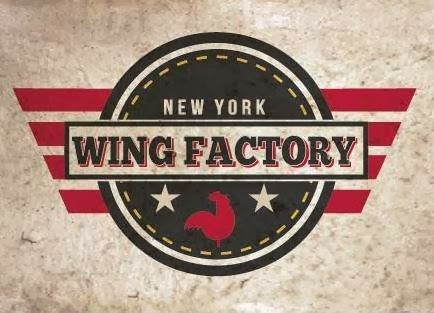 Just fill out the Rafflecopter form below! As you know, we love our set since Tyler saw it at MoMath (Museum of Math in NYC). It is true, as you said, that it is really geometry, but it is very intuitive once you get the basic principles.... It is a long term toy that i will pack up (in it's nice little container!) hide for a while and bring back. He will never grow out of it (because I love it and i am 50). This is one of my "buy it no matter that it is expensive" choices.... 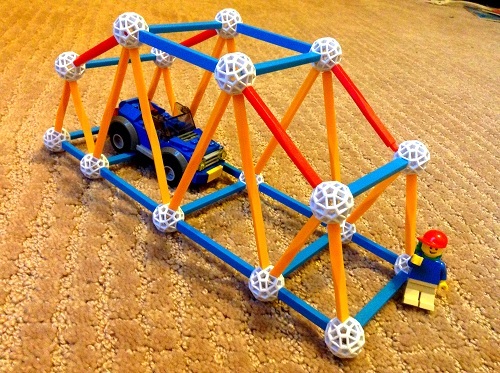 Awesome quality product, so fun and so "subtly" educational. My favorite math based toy is actually food.... we love chocolate chips as counters for math! And if your are doing subtraction, you get to eat them! i don't think i know any math toys. this one looks so awesome. i want it for myself! the pyramid puzzle looks cool. nice price, too. the hyperdo and the superdo look totally addicting... the bubble bundle looks intriguing, too. i will keep zometool in mind for the future. thanks for the introduction! Match it count memory game! We love Zome! Luke has been to a class here locally that was all Zome every Saturday for 6 weeks. He loves it! 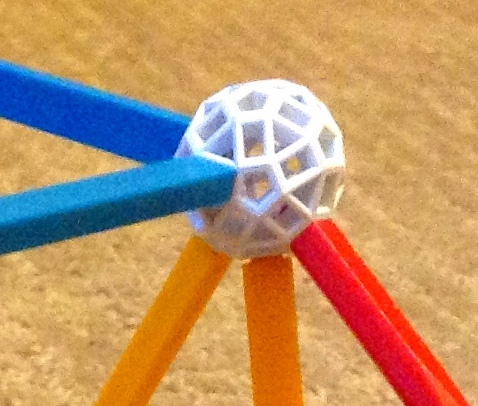 Zome would be the math toy Luke prefers when asked. I have never seen the HyperDo before -- intriguing without the round corner pieces. We have been playing Sequence almost daily in our house. 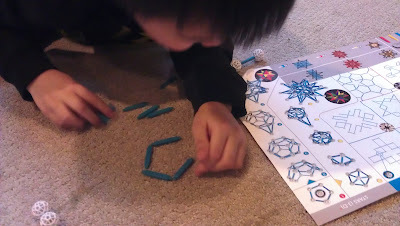 I am not sure it counts as a math game, but it does make you use spatial reasoning. My son also likes Monstermatics, which is a fun way to practice basic math facts. Fraction Matchin' Equivalent Fractions Game. ThePure Carbon looks so awesome! 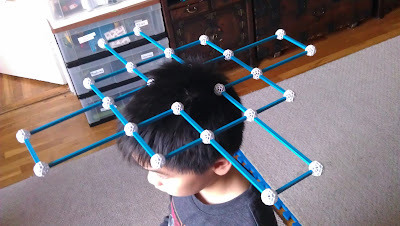 this is such an interesting toy i must say.i would buy one for my kid.children education games.